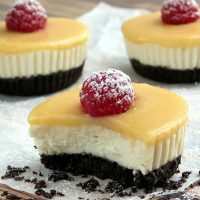 I am totally in love with these lemon tofu cheesecake bites! I mean… They are just out of this world! Don’t they look insanely delicious? I’ve been thinking about making a tofu cheesecake for a long time but never put thought into action. Two days ago I decided to finally give it a try and now I’m wondering – why I didn’t make them earlier?! These mini cheesecakes are so GOOD! It is a healthier choice than traditional cheesecake with a very smooth, light and soft texture (thanks to the tofu!). Creamy, light and lemony – definitely the perfect cheesecakes for any occasion! 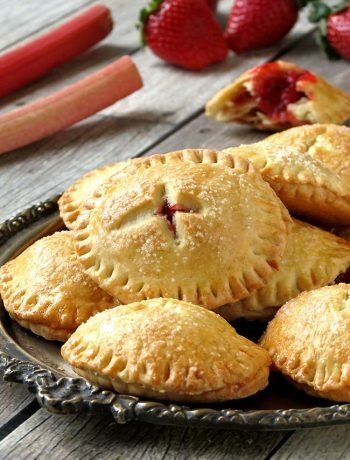 The good news is that these bites are no-bake! This recipe is very simple. You just have to be patient and let cheesecakes sit in the fridge for at least 4 hours… Sorry, I couldn’t resist and just ate one of them… But I have to say that they tasted a whole lot better the next day. So be patient, guys! They’re really worth it! 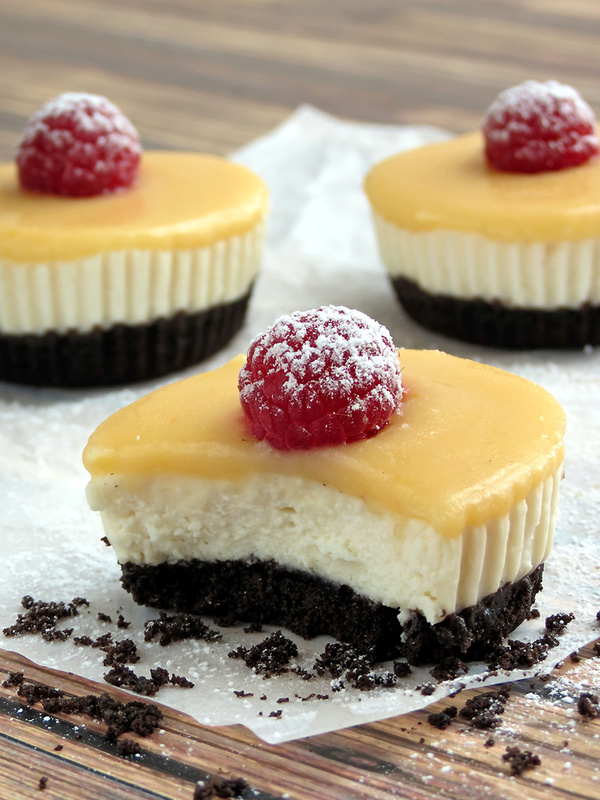 Trust me, these tofu cheesecakes are nowhere near as scary as it sounds. And you won’t realize there’s tofu in it. The taste of these cheesecakes is really good and not too sweet, just enough to satisfy your sweet tooth. The final touch is the lemon curd, with its refreshing citrus flavor. 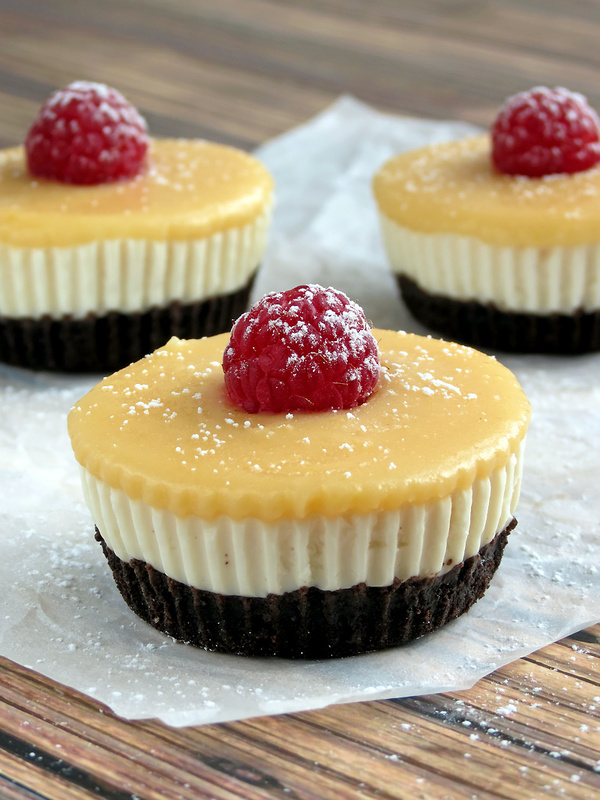 It makes these cheesecake cups just irresistible! In a food processor, pulse whole Oreos until they become crumbs. Add in melted butter and pulse until moistened. Line two cupcake pans with 15 paper liners. Press an even amount of Oreo crust into the bottom of each liner. Press down the crust with the back of a spoon. Refrigerate while preparing the filling. Drain out the water from the tofu. Put the tofu and lemon juice into a food processor and blend until smooth. Set aside. Mix the mascarpone cheese, icing sugar, and vanilla extract in a big bowl using a spatula. Fold in the tofu mixture until incorporated. Heat whipping cream in double boiler over medium heat, until cream is warm to the touch, but not hot. Add gelatin powder and stir until it has dissolved. Remove from the heat. Fold in whipping cream mixture into the mascarpone cheese mixture until incorporated. Divide cheesecake mixture among cupcake cups, filling each cup 2/3 full. Cover with plastic wrap and place in the refrigerator. Whisk together the eggs and honey in a saucepan over low heat until combined. Whisk in the lemon juice, zest and butter. Whisk continually over medium heat until the mixture thickens. Remove from the heat and cool slightly. Strain the curd with a strainer to make sure there are no lumps in the lemon curd. Then let it cool completely at room temperature. Spread the curd evenly over cheesecakes. Top with raspberries. 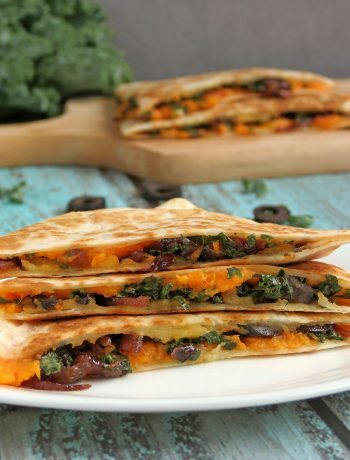 Transfer to the fridge and refrigerate for at least 4 hours or overnight for best results. Dust with icing sugar before serving, if desired. 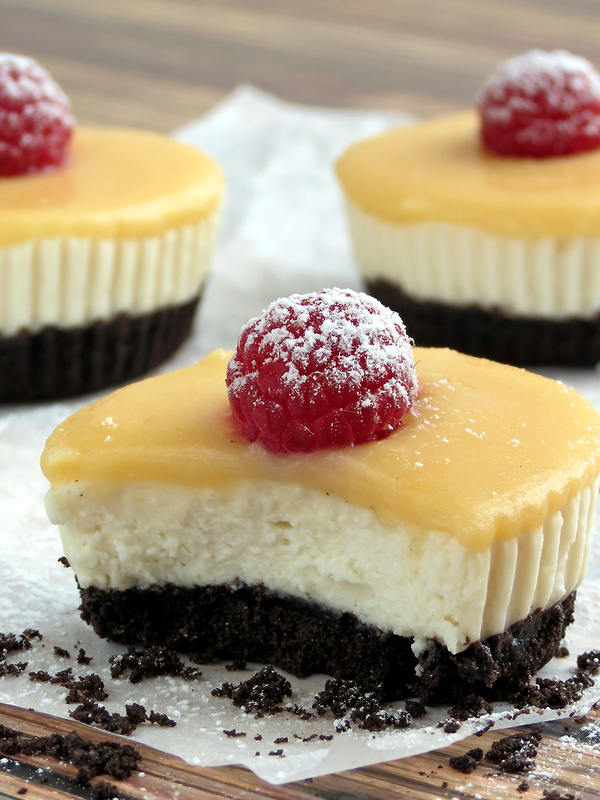 Your mini-cheesecakes look cute and yummy! 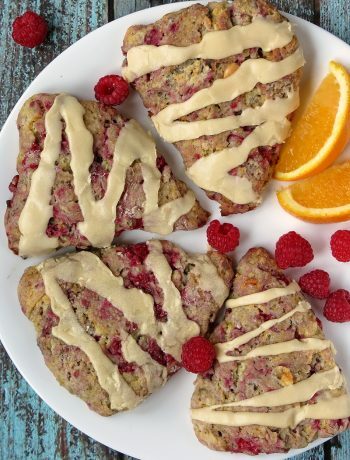 I love how you decorated them with the raspberries on top. They are great to serve when you have guests at home and they are full after the meal, they do have the perfect size!